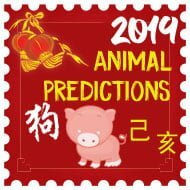 Chinese New Year will usually be a very manic time leading up to the celebrations and festivities which is why we have made this comprehensive Chinese New Year Checklist for 2018, the year of the Yang Earth Dog (Wu Xu). 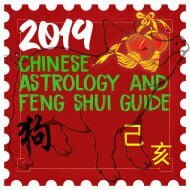 Chinese New Year brings so many jobs and tasks that need doing and every year around the home and office that I go through the home and office that I tend to forget things that need doing which is why I originally created a checklist to tick off as I go through all of the tedious tasks and I decided to share it on the website for others to add or change how they like and the feedback has been amazing and I am so thankful for all of your kind words. 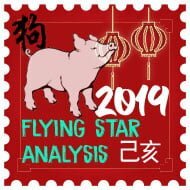 The list below is the same list that I go through every year during Chinese New Year and this year, I have tailored it to the year of the Dog and included where to place the 2018 Annual Cures and Enhancers and colour suggestions for the year which will hopefully make it a bit easier when going through everything before the start of the year of the Dog. I had made a simple checklist but forgot: do not shower or wash hair. Foolishly did this as I was travelling a long way for the weekend. What can I do to reverse the ill effects / regenerate luck on the back of this?? I would not worry too much if this has already been done. 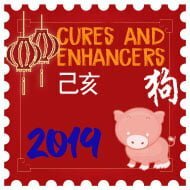 You should make sure you have your cures and enhancers in place for the year as this can enhance wealth and luck. I have recently moved house, can I use my cures from my old house to my new house? The majority of cures and enhancers can be reused in your new home. I would recommend searching the site to double check where they go unless you still have the original instructions. Good luck in your new home, Jennifer!